Hay, Oxford, Edinburgh, Port Eliot, Cheltenham, Wigtown – all big beasts of the literature festival circuit and there are many more. Places where famous and worshipped celebrities jostle along with people who write books, places where zillions of books are on sale, events burst out of their programmes, and the public is invited to adore. There is no doubt these are places to listen to entrancing stories of the stories behind books, the writers’ journeys, insights (possibly outsights) about writing and publishing today and tomorrow. But the trouble with many large events is that they are too large, too regulated and the writers are separated from readers. Who is allowed in the exclusive Green Room, who goes to the ‘in’ parties, who is in the circle and who is not? As an attendee, you go to talks, events, buy (expensive) sandwiches and snacks, make a few new friends, but never really touch the heart of things. 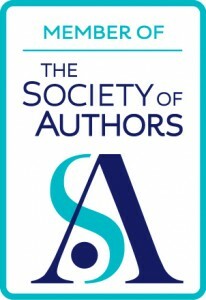 Specific genre events like the Romantic Novels’ Association or Historical Novel Society conferences are different because enthusiastic writers talk to enthusiastic readers, although there are sometimes hints of separation. But I love both. But whether writer or reader, to be more involved at a visceral, grassroots level, take part in local and/or less well-known events. 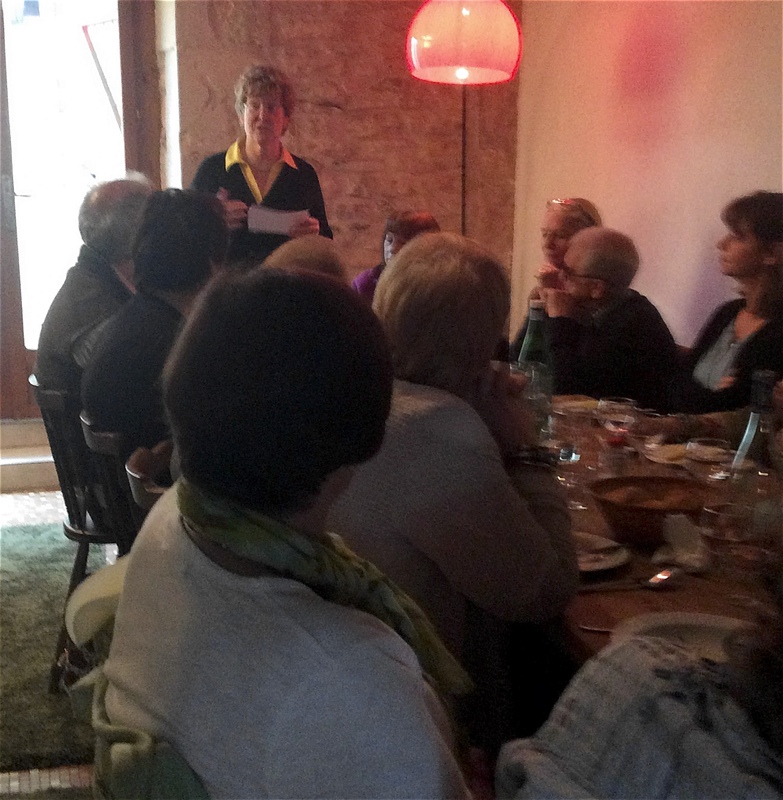 In the past week, I’ve been privileged to speak at events for two smaller yet highly successful festivals. Both festivals were packed with events, celebrations and books. And they were fun and very friendly. 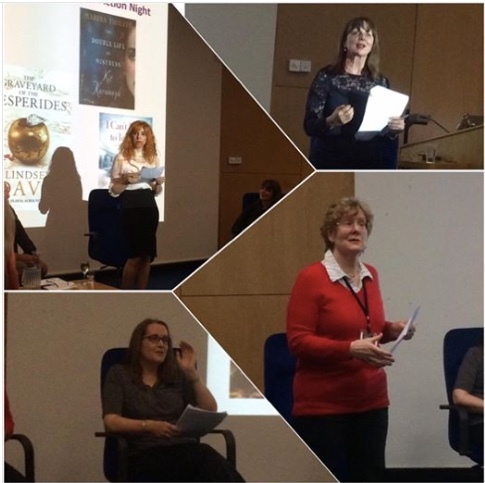 Organised by Dave McCall (writing as David Ebsworth) and Sue Miller, four of us – Elizabeth Buchan, Marina Fiorato, E M (Elaine) Powell and I attempted to prove that our eras – 1940s, Victorian, medieval and Roman respectively – were the best historical periods, whatever that meant. 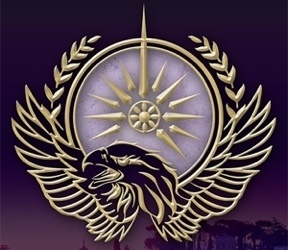 Lindsey Davis, creator of the Roman detective Falco series and one of my writing heroines, was sitting in the audience as she was speaking after us. So no pressure for me! She’s rather lovely, actually, and a great supporter of Roman concrete. 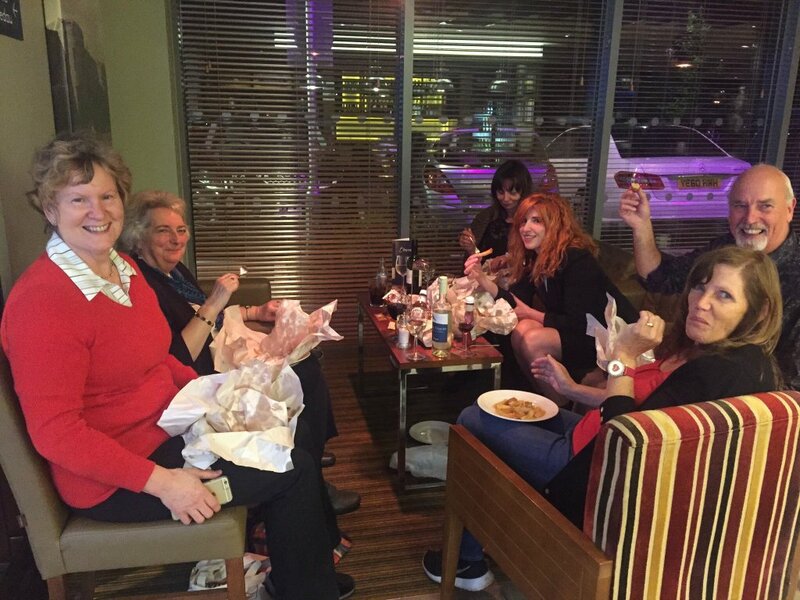 And afterwards, we had chips! 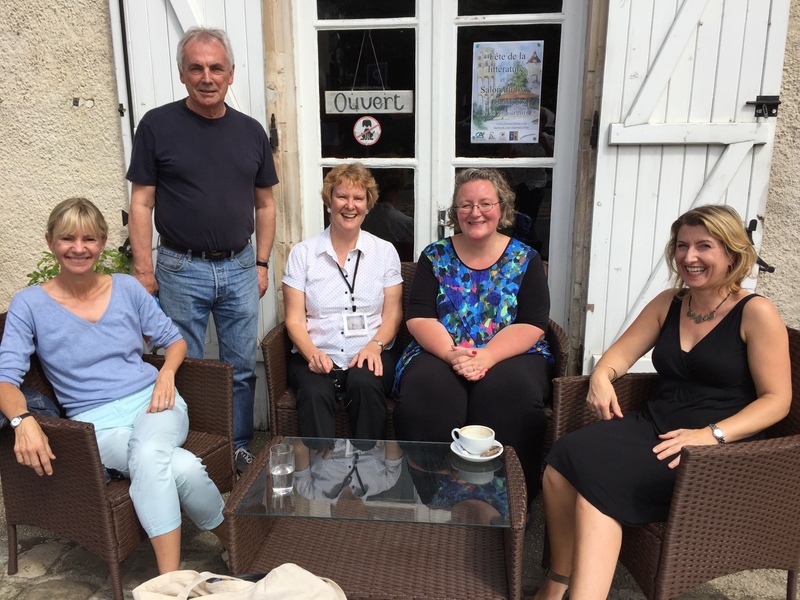 I was delighted to be invited to be part of the first Charroux LitFest last August, speaking about the Roma Nova books and then being a panel member on crime and thrillers. The festival was professionally organised by KateRose, Christine Collette and team and focused on the sessions, yet it was so friendly and genuine. Authors and writers munched sandwiches and drank wine side-by-side talking about writing, France, books and friendship. 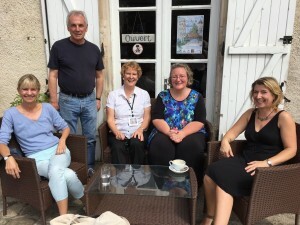 Now, Charroux LitFest is running a series of lunches and workshops throughout the year and I was delighted to be invited as their May guest. In the meantime, I’m having fun with the friendly locals. Alison: one reason I subscribe to your ‘blog’ is how far it is away from the life of a non-fiction writer. You have the advantage of full control over your books whereas I have a designer and a publisher to placate. I have had 38 books published spread over 50 years, but I occasionally wonder where you get the time to write! I like the idea of your LitFests – the smaller ones – but we lived near Hay and that was a nightmare, rapacious farmers charging vast amounts for parking in the mud. Hope you won’t mind my asking but were you slightly nervous at the Kobo thing? You are normally very self-possessed. If I remember Cicero right: “Ne quid res publica detrimenti caperet.”!! Is it true that authors don’t get paid for speaking at these events? 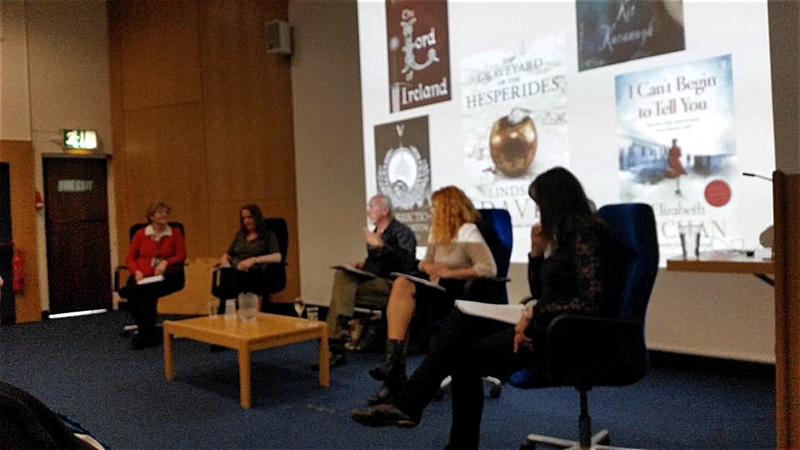 I have heard that at so-called prestigious events like Oxford the authors get paid nothing to appear despite there being, in some cases, quite large fees for the public to attend. Yes and no. 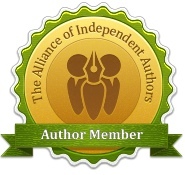 Ideally, authors should be paid for their work, especially as they may spend hours preparing for an event. They should get travel expenses, a free event ticket and a night’s accommodation. However, most festivals, especially smaller ones, run on a shoestring and a pretty thin one at that. Location prices can be horrendous. You have to take a position: would you have gone anyway? If your travel and accommodation are covered, would you go for the publicity value and the chance to sell books?